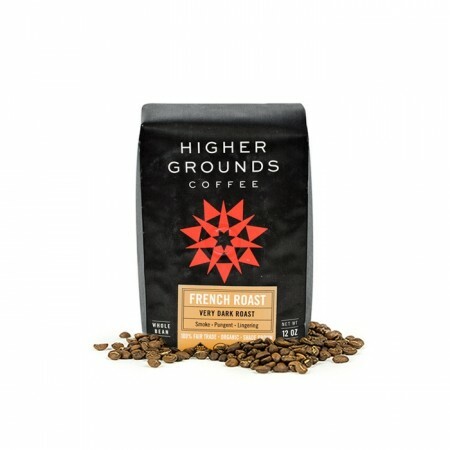 This is the French Roast brought to you by Higher Grounds Coffee. This coffee is a custom blend of Fair Trade and Organic certified coffees from Honduras and Mexico. While this is one of the most developed coffees Higher Grounds offers, this coffee is a medium dark roast by our standards. This is a bold cup with roasty and chocolate notes with a full, lingering finish. When I received my coffee, I was worried that it would be too strong based on the description on the package( Very dark roast, smoke, pungent, lingering). I was pleasantly surprised that this made a great cup of coffee.